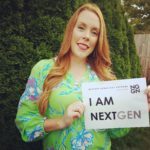 The NextGen Genealogy Network’s Faces of NextGen LIVE! is a popular feature hosted by Education Coordinator Eric Wells. In this recorded interview, get to know Christine Woodcock! For some, joining a new community can be exhilarating – what could be more thrilling than an opportunity to interact and make new connections? For others, this question would only be uttered with heaps of sarcasm – could there be anything worse than interacting with strangers and making small talk? I happen to fall somewhere in between these two extremes – an introverted genealogist, who also enjoys learning from and teaching others. As a result, my first endeavor to join a genealogical society began with a mix of reluctance and anticipation. My first meeting with the local genealogical society took place at the city library. The group was small and unassuming, and I was pleased (though not surprised) to discover that I was the youngest attendee. Because I have always held a deep reverence for my elders, and particularly enjoy listening to their recounts of the past, it was a reassuring setting. At the close of the meeting, I was asked to join the board. The invitation was a surprise, and a kind gesture that immediately made me feel welcome. In short, day one with my new community was a success. Fast-forward 3 years. 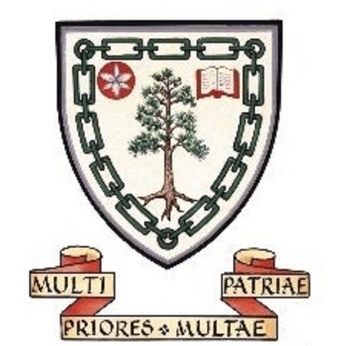 After many more meetings, a few frustrations, and a great deal of learning and growth: I have learned how better to collaborate with members of a different generation, have proposed technological solutions to problems (some met with excitement and others with bewilderment), and have learned research tips from experienced researchers. It has been a fulfilling journey. However, I have also discovered what I feel is missing from my small genealogical community: diversity. Though I have learned to appreciate society members’ form of interacting and their passion for sharing family stories, I have also realized that our group is very homogeneous – a circumstance that inevitably moderates the depth and richness of our interactions. At one point, I considered looking elsewhere for this diversity. I thought my time would be better spent working with a group already successful in diversifying its membership. And then I thought better of it – as a valued member of my society, I have an opportunity to propose a new direction for accomplishing our mission. 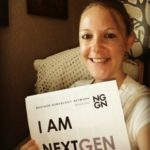 I can leverage my newfound friendships to cultivate collaboration and innovation within and across generations. It’s an exciting prospect. And with the lessons I have learned over the past 3 years, I believe I will be successful. I am looking forward to the challenge – and the inevitable outcome of increased diversity (of people and of thought) in our little society. Perhaps even this introvert can make a difference! 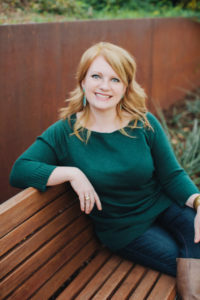 Lisa Medina is a devoted family historian with experience researching American and Mexican genealogy. She lovingly shares much of this research with her family – a husband of 8 years and a captivated 5-month old son. When not researching, Lisa is a busy University Registrar. She is also currently a Board member of the Escondido Genealogical Society.